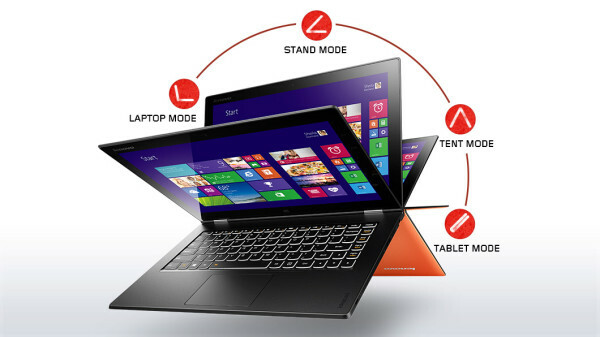 How to Rip DVD to Lenovo IdeaPad Yoga 2 Pro.? Watch DVD Movies on Lenovo IdeaPad Yoga 2 Pro. Featuring with the wide viewing angles, Lenovo IdeaPad Yoga 2 Pro. is the all-around best-in-class example of a first-generation Windows 8 hybrid. With the Yoga 2 Pro Lenovo produced a noteworthy refresh to a device that increasingly looks like it will be a mainstay of the PC maker's lineup for the foreseeable future. What makes such an excellent ultrabook? - Flexible screen: The first ultrabook with 360 degree hinge design. It flips back 360 degrees to offer four different usage modes: Laptop, Tablet, Stand, and Tent. - Colorful display: One of the sharpest in the industry. The 13.3-inch 3200 x 1800-pixel IPS display is higher than that on the 13-inch MacBook Pro with Retina Display (2560 x 1600 pixels). - Excellent keyboard and touchpad: Excellent backlit island-style keyboard. The keyboard itself is indented, likely in an attempt to keep the keys from protruding while in Tablet mode. With excellent palm rejection ensured that the cursor tracked smoothly across the screen, you could reliably perform gestures such as edge-swiping, two-finger scrolling and pinch-to-zoom on the clickpad. - Clear Audio: A pair of speakers on the bottom right and left front-end of the chassis. The speakers prove quite boisterous and are able to fill a large room with audio comfortably. - Solid performance: The Yoga 2 Pro is able to handle normal word and web functions with ease. The device is also capable of handling more demanding Microsoft Office functions such as computing complicated Excel spreadsheets without any trouble. Equipped with 4GB of Ram the device is able to juggle multiple tasks. Even the best-in-class ultrabook has its drawbacks. Besides its shorter battery life (compared to competing Ultrabooks offer), It does not have a built-in DVD drive or CD drive. It means that you cannot insert a DVD disc to the ultrabook to enjoy the movies. However, with Any DVD Cloner Platium which is a professional DVD ripper program, you can rip DVD movies to lossless video files for playback on Lenovo IdeaPad Yoga 2 Pro. It is wonderful to enjoy the lossless movies and vivid images on the extreme high-definition screen. How to Convert/Rip DVD to Videos for Lenovo IdeaPad Yoga 2 Pro.? 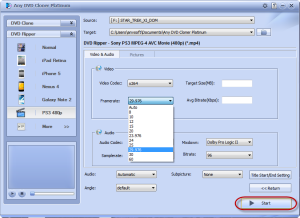 Any DVD Cloner Platinum is quite easy to use regardless of your level of experience. You may need another computer that is equipped with a DVD drive to rip the DVDs first. Step 1: Run Any DVD Cloner Platinum after you download and install it and then insert a movie DVD disc to DVD drive. The program will analyze the structure of the inserted DVD and recognize the longest real title in seconds after you press "Open Disc" button. Step 2: You can choose "Normal" in output profile directly which is much easier for your operation. If you cannot find the preferable option, please click the last "More" tag to find the desired one in pop up dialogue box. Any DVD Cloner Platinum can convert DVDs to not only Lenovo IdeaPad Yoga 2 Pro., but also other popular phones and tablets. 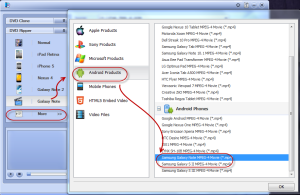 Alternatively, you can choose conventional video file formats and custmize the output video before conversion. Once it finishes ripping, the destination folder will pop up automatically and now you can transfer the video file to your ultrabook. Now you can enjoy the DVD movies on the device. It is very easy for your operation right? With this DVD to Lenovo IdeaPad Yoga 2 Pro. converter, you can now convert all of your DVD movies and watch it on the ultrabook.